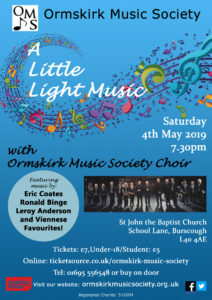 The choir of the Ormskirk Music Society are presenting a showcase of light music on Saturday 4th May at 7.30pm in St. John the Baptist Church, Burscough. 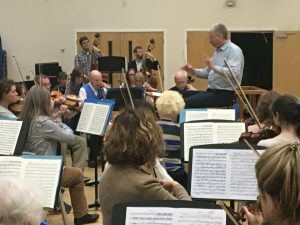 The programme will include many audience favourites, drawn from both European and American traditions in light music: ‘In a Monastery Garden’, ‘Bird Songs at Eventide’, ‘The Syncopated Clock’ and ‘Blue Tango’ are all to be featured, and sung with the choir’s characteristic zest and enthusiasm. It was in post-war Britain that light music rocketed to popularity, with many pieces performed as either the background or main theme to much loved radio and TV shows. There were also immensely popular stand-alone pieces, such as Ronald Binge’s ‘Where the Gentle Avon Flows’, perhaps better known today as the ‘Elizabethan Serenade’ and still widely played under that name. Alongside such nostalgic favourites will be a selection of humorous pieces, including Leroy Anderson’s ever-charming ‘Waltzing Cat’. 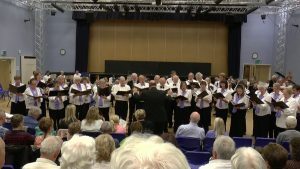 Providing a commemorative aspect to the evening is the popular World War 1 song, ‘Roses of Picardy’, a piece used to help sufferers of shell shock regain the power of speech. 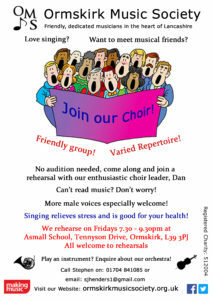 Then, in commemoration of the 100th anniversary of the establishment of the RAF, the choir will perform the famous and much loved ‘Dam Busters’. Talented young classical guitarist Jerome Ness, who will be performing a concerto with the OMS orchestra in their Summer concert, will present pieces by South American composers Barrios and Villa Lobos. And, finally, let us not forget: May 4th is ‘Star Wars Day’ (May the Fourth be with you!). The brass players may have fun of their own commemorating this special day. 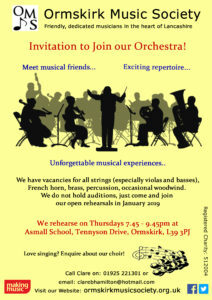 In all, this promises to be a concert of remarkable variety and contrast: something for everyone who enjoys the light music genre.